Loki vowed that Asgard would burn. Bohdi Patel, latest incarnation of Chaos, wants nothing to do with Loki's psychotic oath. Stranded on the icy world of Jotunheim with Amy Lewis, his friend Steve Rogers, and an unlikely band of civilians, magical beings, and elite military, Bohdi just wants to keep himself and his friends alive-but when you're Chaos incarnate, even the simplest goals are complicated. If Jotunheim doesn't kill them, Odin will, and if Odin doesn't, the secrets they harbor might. 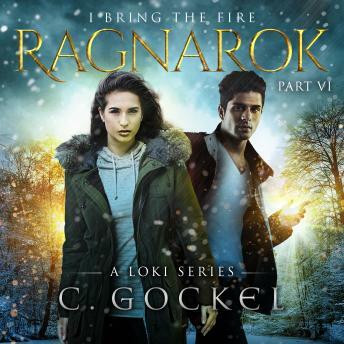 In the final installment of the I Bring the Fire series, Bohdi, Amy, Steve, and their companions learn that Chaos cannot be contained, some secrets cannot be kept, and some vows cannot be broken.